Shikwa Jawab e Shikwa Urdu authored by Allama Muhammad Iqbal. 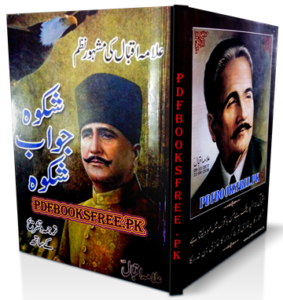 The present book contains translation and complete interpretation of the famous poem “Shikwa o Jawab-e-Shikwa” of Allama Muhammad Iqbal in Urdu language. This book is now available on Pakistan virtual library in clean and high quality Pdf documents. Check out the following links to read online or download the complete book in Pdf format to enjoy offline reading. Allama Iqbal was great poet, thinker and visionary of all time. I love reading his poetry.